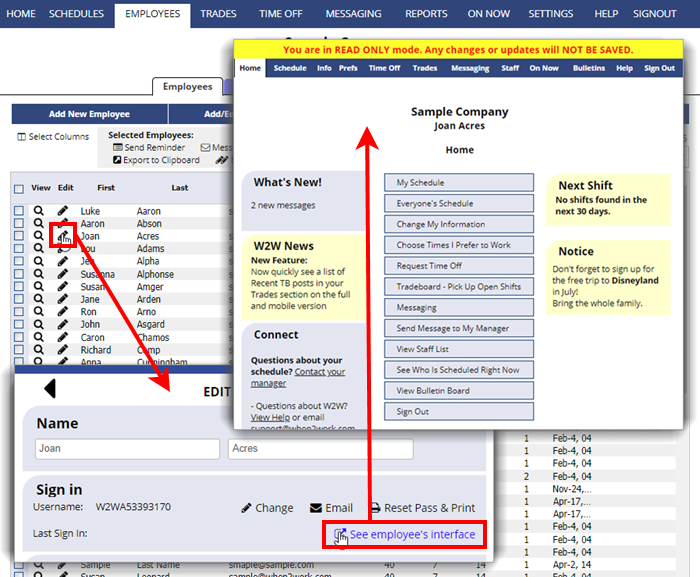 The Main Managers can sign into an employee’s account in READ ONLY mode. This can be done from the Edit Employee page. Employee’s sign in in READ ONLY mode so you cannot make changes and it will not affect the employee’s “Last sign in” date/time or move new message to the old folder if read.